We have published two versions of this map, showing how the area developed across the years. It covers an area around and to the west of Golders Green, stretching from Brent Gas Works eastward to Hodford Farm, from Renters Farm southward to the northern tip of Child's Hill. (Note that Golders Green station is on the adjacent map, sheet 18.) In the first map the area is entirely rural, with just a few villas along North End Road; an isolated fever hospital is in the centre, along with sewage works, while Brent Junction and Brent Sidings are in the SW corner. On the reverse we include a large extract of the First Edition map of 1880. The later map is from the rare Special Edition 1912. This retains the information on the earlier map but shows development in outline form up to 1912; a very useful map as you can clearly see which houses are later. This map shows development at Golders Green with new streets and houses off Golders Green Road and Finchley Road; new streets include Woodstock Avenue, Montpelier Rise, Hamilton Road, Wentworth Road etc. This map has some street directory extracts on the back. 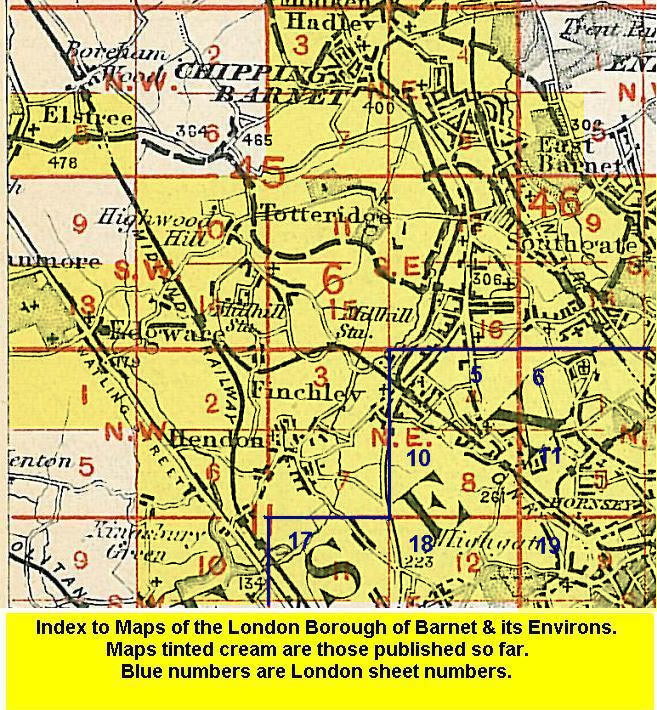 Follow this link for a list of our maps for the London Borough of Barnet, or here for a complete list of our London maps .